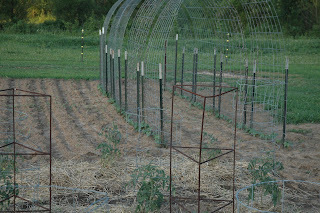 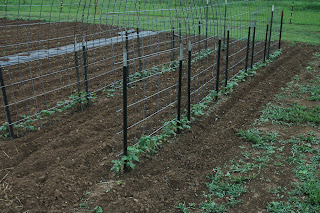 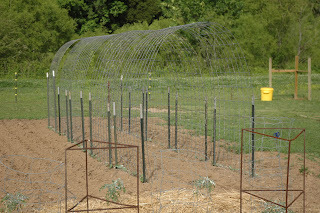 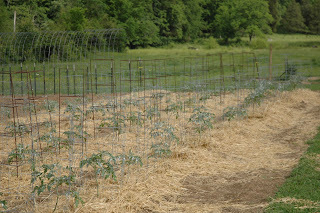 Here it is the end of May, the tomatos are starting to bloom, the bush and pole beans are poking through the ground and the okra is in the ground. 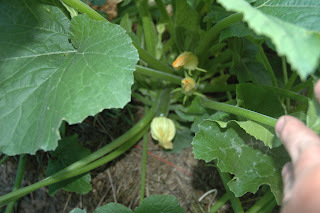 Squash are in various stages, some getting ready to bloom. 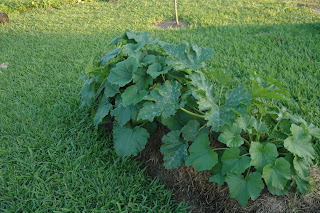 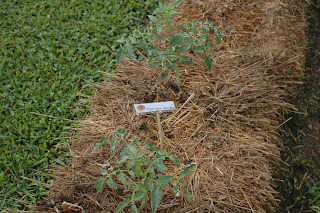 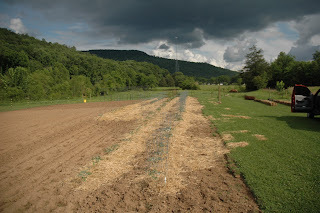 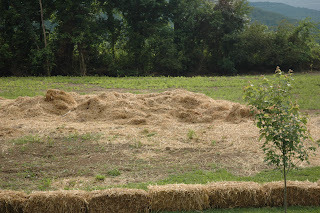 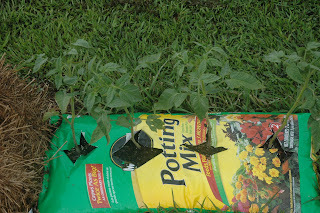 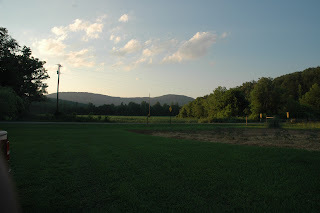 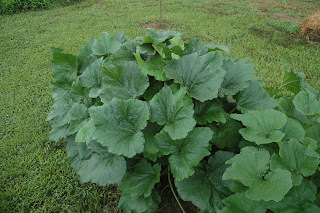 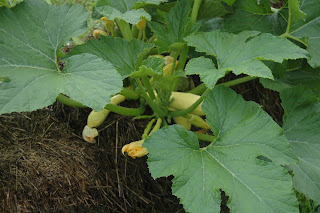 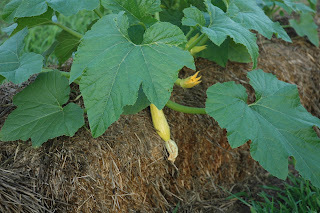 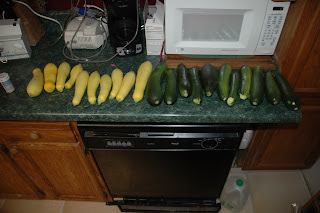 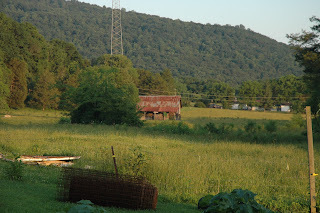 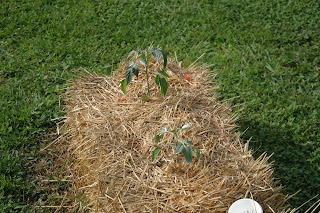 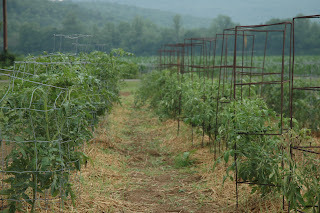 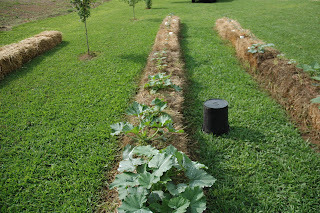 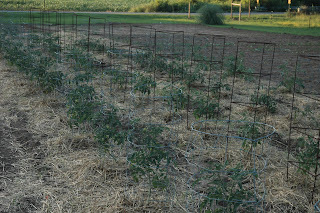 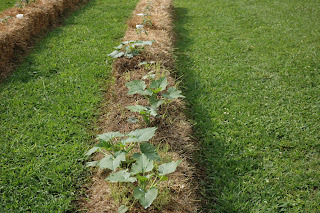 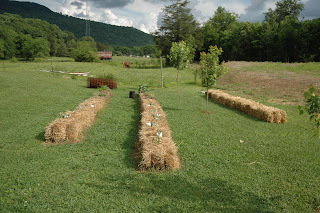 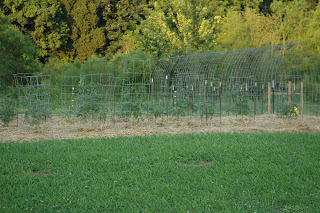 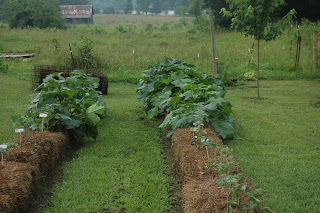 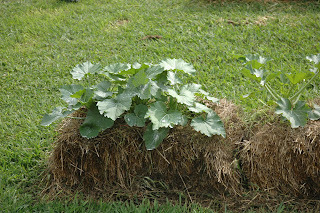 I am impressed withe the squash,cucumbers and tomatos growing in my bale garden, they too are in various stages from blooming to new bales in day three of preperation.